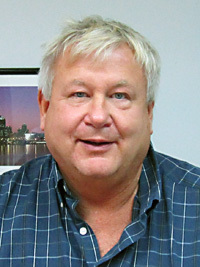 James Sucharski started at PFERD Milwaukee Brush Co. as a Manufacturing Engineer on September 29, 2011. He most recently worked at Tanis Incorporated in Delafield, Wisconsin. He currently resides in Oconomowoc, Wisconsin with his wife and son. 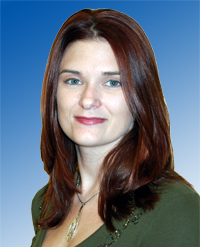 PFERD is happy to announce the appointment of Paula Butler as Gene Huegin’s Executive Administrative Assistant effective September 28, 2011. Paula resides in Leominster, MA and most recently worked as the Executive Assistant to the CEO of Cricket Holdings, a Marlborough, MA based Media Company. During her five years with that firm she was responsible for a wide variety of activities supporting the CEO and an extended department staff. She is a graduate of the University of Massachusetts, Lowell, with a Bachelor of Music degree with an emphasis on Music Business. She had previously worked for the New England Conservatory of Music in Boston and the Boston Symphony Orchestra. Ron Terrell has been working as an intern at PFERD Milwaukee Brush for the past several months. Upon completion of his Associate’s Degree in Engineering, Ron has decided to accept a position elsewhere, where he can use his acquired skills and knowledge. We wish him the best in his future endeavors. Nick Wojnar, a Manufacturing Engineer, will be leaving the PMB family and moving to Florida, where his fiancee has accepted a job offer for a post-doctoral research position. We wish Ron and Nick the best of luck in their future endeavors! We are pleased to announce the promotion of Richard Shagoury to the position of Marketing Communications Manager. Rick joined PFERD 8 years ago as Marketing Assistant. 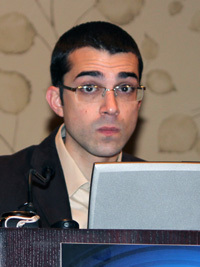 In 2007 he was promoted to Marketing Coordinator. In his new position, Rick is responsible for the continued creative design of published materials, including catalogs, promotions and corporate correspondence, for developing web communications strategies, and for organizing trade shows. In addition, Rick will assume Product Management responsibility for catalog sections 201 (Files) and 203 (Mounted Points). He will strive to become the resident expert on these products through research, training and local field experience. He will collect competitive nformation as well as feedback provided from field staff members. He will communicate with Product Managers at ARM to develop new products to grow sales and market share in North America. Please join us in congratulating Rick on his promotion and in wishing him continued success at our company. 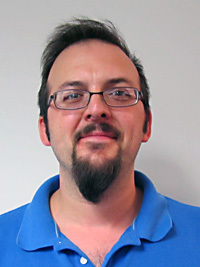 Daniel Rabideau has been promoted to Manufacturing Engineering, effective, July 11, 2011. 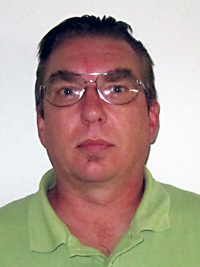 Dan was hired at PMB on June 29, 2007 as a Machine Repair Technician. He resides in Jackson, Wisconsin with his wife and five children.